Better listening including "listening the first time"
All lessons are based on positive recognition, reward and reinforcement for effort, skill, manners, sportsmanship and respectful treatment of others. Self-confidence and self-esteem are built in a gradual step-by- step fashion. Martial Arts training builds a strong foundation that can easily be applied in academics, sports and all social settings outside our academy. We use a ranked approach in our teaching (white, yellow, etc.) and progression through that is not as simple as being able to demonstrate the techniques from our school. 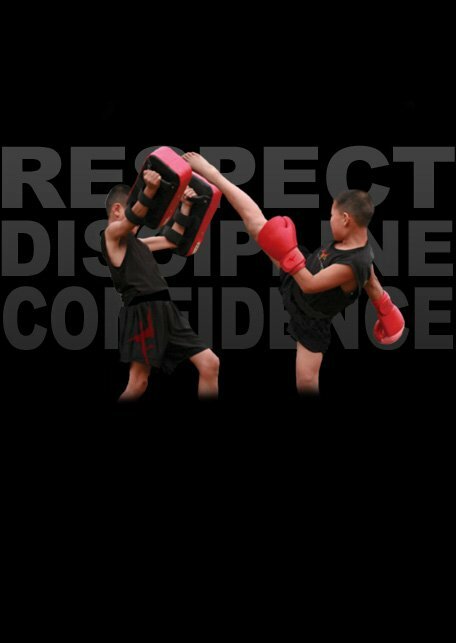 In order for your child to progress through the ranks they will have to demonstrate the physical techniques of their rank, have approval from their parent or guardian (meaning that they have not been misbehaving outside our facility), and approval from their teacher (as in they are paying attention in class and not using our techniques to become bullies). Since our focus also involves the development of mental strength our ranking tests include these other aspects from their lives in order to build strong, confident and well rounded positive individuals.want each parent to decide for themselves what is right for their family. The director will discuss the terms of membership along with benefits and discounts face-to-face in his office.